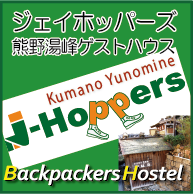 We are Backpackers Hostel in Kyoto. We bring up to date with on the news of this hostel and tour information, event in Kyoto, sightseeing information in Kyoto, including information for each Temple and Shrine or gallery or museum. When Robert Capa was shooting the people and soldiers in Vietnam, Ihei Kimura worked on the streets to cut the ordinary lives out in Japan. Ihei Kimura (12 December 1901 – 31 May 1974) was one of the most celebrated Japanese photographers of the twentieth century, particularly known for his portrayal of Tokyo and Akita prefecture. Now his exhibition is held at Kyoto Museum of Contemporary Art named 'Kahitsukan'. Shirakawa-go ( Site with traditional thatched roof houses. ) is one of the UNESCO World Heritage sites. We will take you back to the Japanese good old days. 8 minute walk from JR Kyoto Sta. Many tourist sights nearby such as Toji Temple or Fushimi-Inari Shrine. Fully renovated in 2011. Cozy and spacious living & kitchen are quite comfortable. Roomy and spacious dorm bed make yourself at home in. Just about 15 min walk to JR Osaka Sta, which has extensive travel links to everywhere such as Kyoto, Kobe, Nara, Himeji and Koyasan. It takes about 1 hour to Kansai Airpot. The hostel is located in the quiet shopping street with many restaurantes and bars. Onsen Hostel on Kumano Kodo in Yunomine Onsen. Close to Kumano Hongu Shrine. Just 3 min to Peace Memorial Park. 40 min by tram to Miyajima. The builing used to be a Japanese style Ryokan and most guest rooms are Japanese style with tatami matts, which was fully renovated in 2011. Local Hiroshima staffs advise you about the sights except for 2 World Heritages. Just 5 min walk from JR Kyoto Sta. Still quite new hostel opened in 2010. Bus terminal and bus stops are quite close, and very convenient. Japanese style private rooms are mostly ensuite type. Roomy and spacious dorm bed make yourself at home in. Located right in the middle of downtown "Shinsaiashi". Walkale to Dotonbori and Nama. Roomy dorm bed is super comfortable. Both a spacious JPN style living and a western style living room are cozy and relaxative. Just 3 min walk from JR Hiroshima Sta. and 5 min walk to Baseball Stadium. A traditional Japanese style tatami room or a familiar western style bedroom is selective. Also 3 or 4 beds private rooms for a family and 4 or 5 beds dorm rooms are highly worthwhile. 2 min walk to Hakata Downtown "Nakasu", The transportation hub of the Kyushu region accessible by Shinkansen, plane and ferry. Western style or Japanese style private room is selective. Roomy and spacious dorm bed make yourself at home in. J-Stay is the well-known monthly furnished apartment(sharehouse) and guest house agency in Kyoto . Looking to rent a house or room? Thinking a new roommate, shared apartment, townhouse or singsle family home for rent would suit your needs?